Strictly speaking, the term “epidemic” should be reserved for infectious diseases. I realise that the term has now bled into everyday language to mean a large rise in prevalence rates for anything (e.g. obesity epidemic), but the original clinical definition was to describe the spread of infectious diseases (e.g. ebola epidemic). I’m a clinical terminology pedant; I lose sleep over people that call a “fascination” an “obsession”, so you can imagine my loathing of the headlines of “autism epidemic” to describe the increased numbers of people being given a diagnosis of autism. The reported autism prevalence rates have increased from around 1/100 to 1/68 (that’s about one child in every 2 state school classrooms). However, even if the lay terminology is accepted, the rise in numbers of people diagnosed with autism has more to do with changing diagnostic classifications and awareness than an environmental hazard that shock-headlines would like us to anticipate. There are many press and internet articles that discuss this, but I didn’t feel that they fully explored the territory, so here is a researcher and clinician’s view of the reasons for increased rates of autism. Why do boundaries in classification change? Autism is primarily a genetic disorder and the genetic basis of autism is pretty much undisputed now. Although environmental hazards may play a role, these are generally on the basis of a pre-existing genetic vulnerability. There are several known genetic disorders already identified that highly predispose to autism (e.g. Fragile X, tuberous sclerosis, neurofibromatosis), but these disorders account for only a small proportion of the total incidence of autism. The bulk of people with autism have what is called “idiopathic autism” the genes for which have yet to be identified (although several genes are suspected and are undergoing rigorous going over by scientists, none have been conclusively proved). The identification of genes for autism is a tricky problem, as it is not a single gene that is wonky in autism. If it were, then it would have been identified long ago, like other single gene defects (cystic fibrosis, tuberous sclerosis) and we would be able to test for it readily with a genetic test. It is likely that there are multiple genes, say 6 (this is an educated guess), that are all required in order to generate the disorder. These genes are common, and both you and I are probably carrying several of these genes right now and have already handed them over to our children. Like in the National Lottery though, it is quite common for individuals to have a few of the numbers that come up, but it is much rarer to have all 6 numbers together. In the case of autism, only the people with all 6 genes get autism. Also like in the National Lottery where 5 numbers will get a small pay-out, people with 5 genes may get a watered down version of autism. Scientists have been using all the tricks available to them to try and elucidate the precise gene combination. A few years ago, the computer capability to do Genome Wide Association Studies (GWAS) (where you sequence the entire genome of subjects with autism and the entire genome of subjects without autism, bung the lot in a very big computer and get it to output the combinations of genes that are common to people with autism but not present in the people without) was supposed to lead to a major breakthrough in autism research. It didn’t. The reason being that as all scientists know; if you put sh*t data in, you get sh*t data out. The conclusion amongst researchers was this: the people that we are defining as “autistic” and “not autistic” are wrong. If there are non-autistic people in the “autistic” group; or more likely, autistic people in the “not autistic group”, this will mess up the results. How are we currently diagnosing autism and is it correct? 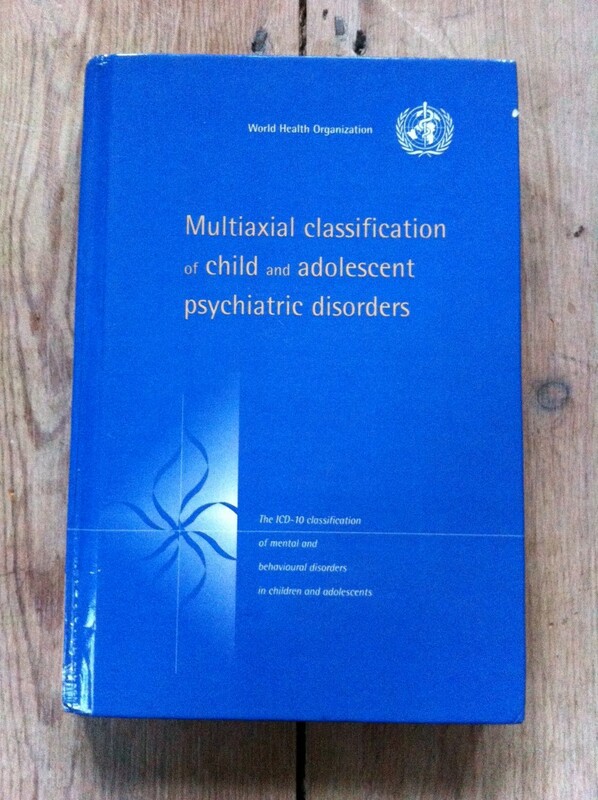 The current classification manuals for diagnosing autism (and other mental health problems) are the DSM (used in the USA) and ICD (used in Europe) manuals. My husband has a similar book for “diagnosing” if a mushroom that he finds on the heath is poisonous or not. There is no blood test or scan, only the basic science of observation and interrogation. You might, (and some do) dispute the validity of such classification manuals, but it has thus far served my husband, who has a penchant for putting foraged fungi into his mouth, well (i.e. he has correctly been able to avoid the death cap by consulting his book). A hundred or so years ago, manuals like these were used to diagnose everything from brain tumour to Down’s syndrome (doctors of old diagnosed brain tumours from symptom check-lists including things such as headaches and vision problems, and having round faces and “Mongolian eyes” suggested Down’s syndrome). By fine tuning the classification and studying the people identified, it has become possible to find causes and cures. If classification had not initially taken place, cures would not have been found. This is where we are currently at with autism, fine-tuning the classifications based on new research findings, the precursor to elucidating cause and generating treatments and cures. The by-product of fine-tuning the classification manuals is a change in disorder prevalence rates. Old classification manuals stated that all children with autism had a learning difficulty, this was found not to be true and newer classifications reflect this. Older classifications state that autism is largely a disorder that only affects boys; newer classifications describe what symptoms may look like in girls. In previous classification manuals, it was stated that if a child had ADHD, they could not have autism, this is now known not to be the case and indeed 30%-50% or so of children with autism have ADHD. New classifications allow this diagnosis to be made. Thus, over the years, with increased research pointing to a wider distribution of the core symptoms of what “we” scientists and clinicians see as autism, and with each revision of the classification manuals, the description of “an autistic child/ person” has changed vastly. An intelligent, inattentive girl with core features of autism, diagnosed with autism today would not have received a diagnosis even 50 years ago, and I am pretty sure that our current classification will not be the last revision. Some might call this changing boundary of diagnosis pharma and clinical collusion to “medicalise natural variation”; but as I mentioned previously, I prefer to see it as a scientific journey we are halfway/ dare-I-even-believe three quarters of the way through, towards an understanding of aetiology and generation of treatment and cure. Who knows, when aetiology is found, the boundaries may yet shrink back. The conclusion to the journey may not be far off. Whilst geneticists are relying on better patient classifications to do genetic studies on, neurophysicists are relying on better patient classifications to do neuroimaging and functional neuroimaging studies on. We are already almost at the stage where a computer can accurately predict if a person has autism or not based on their brain scan (Ecker 2010). It may be within my life-time (my grandpa lived to 104 years so I have an optimistic life-expectancy) that the diagnostic classification manuals can be ditched for a brain scan or set of genetic tests; just as has already happened in the case of brain tumour or Down’s syndrome. Raising awareness of health conditions is a great thing. Many people have benefitted from the increased awareness of autism over the last 10 – 20 years. Autism is a condition that babies are born with and that they will grow and live with life-long. There is no current treatment for the core symptoms, let alone a cure, but the correct support for the child, family and school, can have a significant impact on outcomes. Improving awareness encourages people to come forward for assessment and diagnosis and access support; improving awareness leads to requests for more and better services; improving awareness leads to higher profile and political will to spend on autism; improving awareness leads to better acceptance and understanding of people with autism. I can say nothing but good things about raising the profile and awareness of autism. In 1988 when Rainman was first released, I had never heard of autism. I think if a film about autism was released now, the majority of people would have heard of the condition. Without a doubt, the number of families seeking autism assessments for their children has increased, and this can only mean increases in diagnostic rates. An epiphenomenon to improving awareness that has also contributed to increased prevalence rates is due to what can be discretely called “diagnostic inflation”; or what can be better understood as “overdiagnosis” or “misdiagnosis”. It is an unpopular but real notion. It is one thing to “raise awareness” of autism, but it is another to educate about autism. I think if I surveyed a group of 100 parents, they would all have heard of autism but I think that only a handful of the 100 parents surveyed would be able to give a passable definition of the core symptoms of autism. 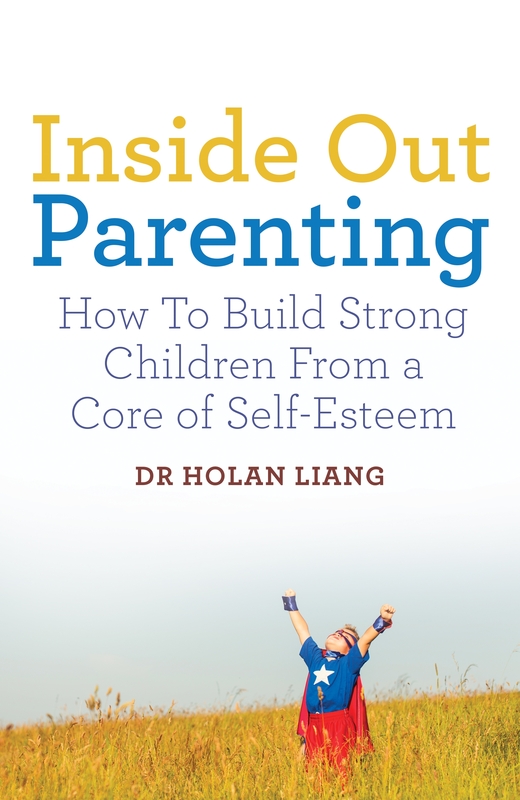 Why stop at parents? Teachers, GPs, paediatricians, child psychologists and child psychiatrists, especially those that trained ten or twenty years ago when autism was relatively unknown and unsexy may not be up-to-date on autism and certainly many fewer will have completed and maintained specialist training on autism diagnosis. Couple this with the improved awareness from parents of the diagnosis and the political will to allow access to substantial resources (welfare and educational) only for a diagnosis of autism and you have a system that will favour increased diagnosis. I think that now that the job on awareness has been done, we need to work harder on the education front. Has there been any real increase in autism at all? This was the topic of discussion at the last Royal College of Psychiatry conference I went to. The consensus was that there was, but that this real increase was much less dramatic than the increase accounted for by classification changes and increased awareness. Many studies have focused on insults in pregnancy and environmental toxins. The research on these has yielded minor or inconsistent results, certainly nothing that alone would account for the real rise seen. The only factor that was given significant credibility was that of the increased age of the mother AND FATHER of autistic children. Whilst awareness of the effects of maternal age on children’s outcome has been well-publicised (increased risk of Down’s syndrome as one well-known example), the risks of older dads has been less so. Yet, paternal age has long been established as a risk factor for schizophrenia (Malaspina 2001), and there is now emerging evidence for association of paternal as well as maternal age with autism (Reichenberg 2006; Durkin 2008; Sandin 2012). It is ironic that many people sought to blame a vaccine for increasing levels of autism, in some instances sparking fears of a real epidemic (of measles), when in fact, like so many other health problems, the cause may prove to be within our own life-styles. Ecker C, Marquand A, Mourão-Miranda J, Johnston P, Daly EM, Brammer MJ, Maltezos S, Murphy CM, Robertson D, Williams SC, Murphy DG. (2010 ) Describing the brain in autism in five dimensions–magnetic resonance imaging-assisted diagnosis of autism spectrum disorder using a multiparameter classification approach. Journal of Neuroscience. 11;30(32):10612-23. Malaspina D, Harlap S, Fennig S, Heiman D, Nahon D, Feldman D, Susser ES. (2001) Advancing paternal age and the risk of schizophrenia. Archives of General Psychiatry, 58(4):361-7. Reichenberg A, Gross R, Weiser M, Bresnahan M, Silverman J, Harlap S, Rabinowitz J, Shulman C, Malaspina D, Lubin G, Knobler HY, Davidson M, Susser E. (2006) Advancing paternal age and autism. Archives of General Psychiatry. 63(9):1026-32. Sandin S, Hultman CM, Kolevzon A, Gross R, MacCabe JH, Reichenberg A. (2012) Advancing maternal age is associated with increasing risk for autism: a review and meta-analysis. Journal of the American Academy of Child and Adolescent Psychiatry. 51(5):477-486. Durkin MS, Maenner MJ, Newschaffer CJ, Lee LC, Cunniff CM, Daniels JL, Kirby RS, Leavitt L, Miller L, Zahorodny W, Schieve LA. (2008) Advanced parental age and the risk of autism spectrum disorder. American Journal of Epidemiology. 168(11):1268-76.